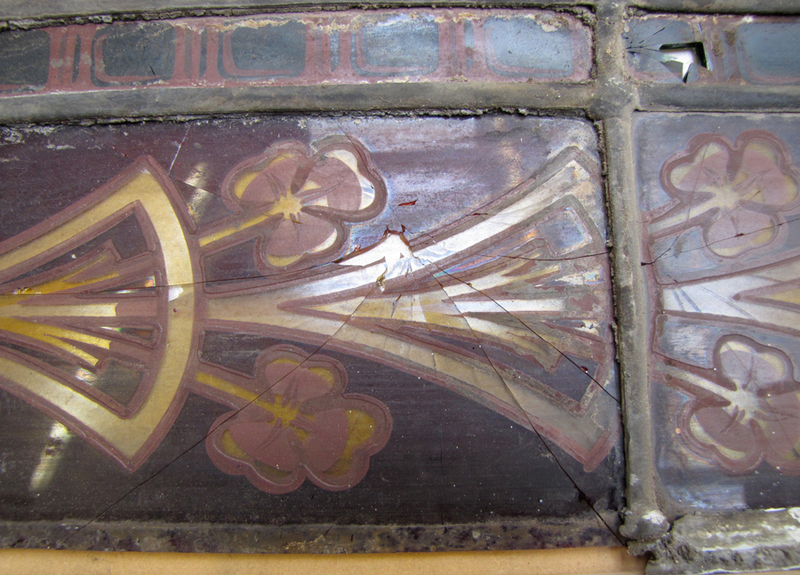 Adadaz Leadlights can undertake repair and restoration to leadlights and stained glass. Repairs can be carried out on site or the panel brought back to the studio. Where possible matching original glass will be used. Heritage work is treated with due deference and carried out within the guidelines of the Burra Charter. Restoration work at Napier Hotel, Fitzroy. Before and after. Above: Stairwell restoration project. Before and after. 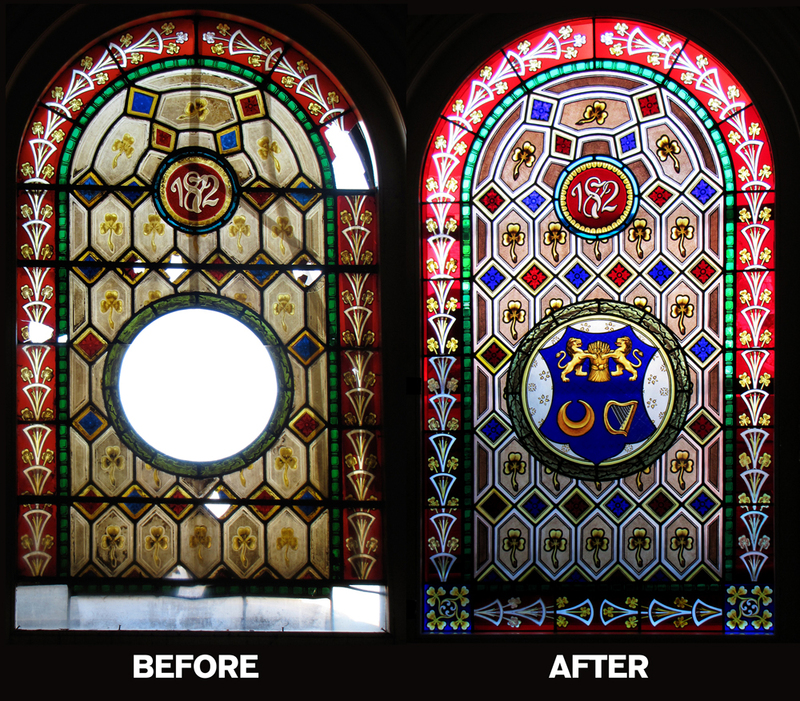 Above + below: Adadaz created new panels during the restoration of this window. © 2015 Adadaz Leadlights. | 68 Burwood Rd. Hawthorn | Tel: (03) 9818 7667 | Mon-Fri 8:00am- 4.30pm Sat 10:00am-1:00pm.